Back to business today – fitness biz. Finally managed to go running for the first time since I got ill weeks ago and it was bloody knackering.. but very satisfying to be back out there. 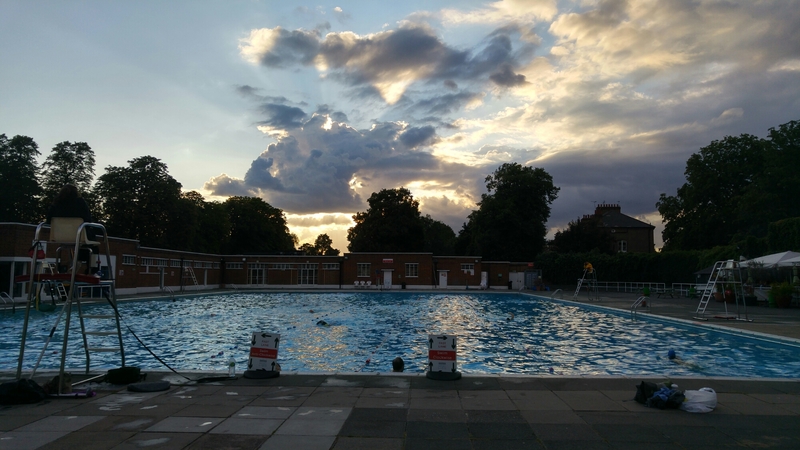 After work Nic and I went swimming in Brockwell Lido. There was a small rain shower at one point but we swam for nearly an hour then had dinner in the lido cafe. It was a beautiful evening all round.